Nicolás Correa Service, S.A. installed and commissioned a completely retrofitted CORREA PRISMA 20 milling machine during the month of July 2017 at the facilities of a British company dedicated to the design and manufacture of components. 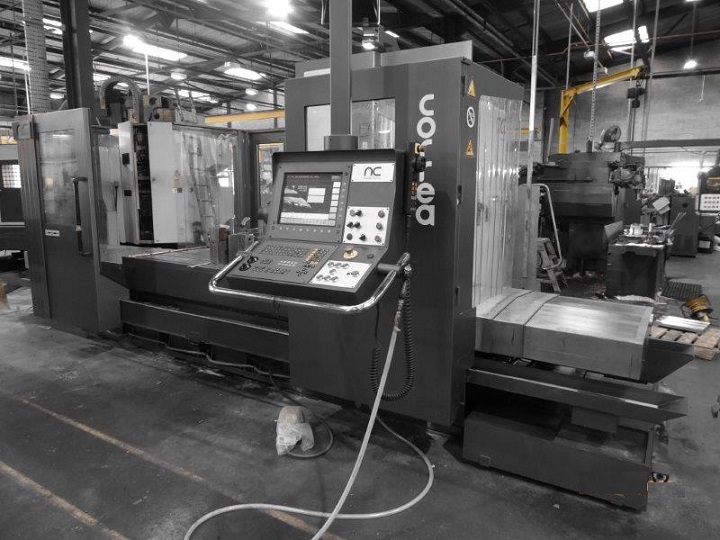 This bed type CORREA PRISMA 20 milling machine was purchased on the second-hand market in the United Kingdom in 2016. Manufactured in 2004 using latest generation technologies, and noted for its versatility, precision and rigidity, this milling machine features a travel of 2000 mm on its X axis and 1000 mm on its Y and Z axes. Its standard equipment includes a Heidenhain iTNC 530 numerical control, Ethernet card, Heidenhain HR-410 electronic handwheel, digital servo motors and drivers, and slideways and guideways with automatic lubrication on the X axis, amongst other features. Furthermore, this milling machine is equipped with a U-40 manual universal milling head. Over the course of a number of weeks, and with its characteristic professionalism and reliability, NC Service made a thorough retrofit of the machine, by completely dismounting, inspecting and adjusting its main parts and checking for the correct operation of all its mechanical and electrical components The end result is that this milling machine can now produce machined parts with optimum finishes. This milling machine was purchased by Bartlett Engineering (South Wales) Ltd., a Welsh company offering a flexible service and boasting extensive experience in design and engineering, and primarily in production, fabrication and welding for a wide range of industries and components produced in steel, aluminium, brass, etc. Always seeking complete customer satisfaction and the ability to get the job done, in a market that is constantly advancing, the purchase of this new CNC milling machine will allow Bartlett Engineering to maximise its efficiency by using best manufacturing practices and the best equipment. This is the first CORREA milling machine to be purchased by this company, which has opted in favour of the quality of the NC brand and also the professionalism of the inspection and retrofitting work performed by NC Service.